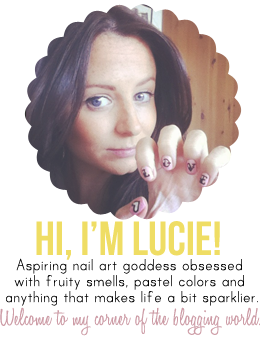 Lippy Lucie: Newspaper Nails... Kind of!! ﻿Nail art is freakin everywhere these days isn't it?!! Its fantastic!!! Today's online edition of The Sun newspaper had a brilliant article all about nail art which you can read here!! "NAIL this season’s hottest beauty trends as manicures get weird and wonderful"
I am really enjoying matching my nails to fashion at the moment too and I will be posting a lot more on that in future posts.. I hope you enjoy The Sun's post as much as I have today!! I can't wait to see your nails!